I purchased a bed from MattressFirm and used Progressive Leasing to lease it. The bed only cost $499 but when I look at my payment schedule on Progressive it show's me paying off over $1000.Um...What?.. Consumers Opinions about Financial Services ? 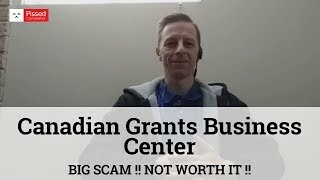 STAY AWAY FROM -> CANADIAN BUSINESS GRANTS CENTRE - 18773833987PLEASE SHARE AND SUPPORT MECanadian Business Grants is a SCAM!! - 2019I am a recent victim of their sales tactics. It is not worth the money.All these reviews are correct. Jan 2019.A large multimedia media awareness will be created. This includes informing the better business bureau.Promised many call backs and never once received one. I had to persistently call, to get any answers or progress.Making my payment Jan 9 2019, finally, receiving my PDF file Feb 7 2019. OMG !! !Anyone can Google Canadian Business Finance directory for this information and lay it out in a PDF.Sending me data for areas that are not related to my business....So why did they require detailed information of my plan for ? ...obviously no one truly read it, with intent to provide me with useful information.The convoluted methods and direct cat fishing is wrong ! You people should be ashamed.After collecting my payment, never once did I experience a professional conversation with these clowns.Just dead cold responses and lies to my questions.After you have paid, you will receive a large PDF with your proof of payment invoice. This PDF will contain the same information that you wait for.Its a large list of finance type government programs. When you finally get your completed results, its a refined list of the large PDF they initially sent.So I did try contacting some of the programs and some are real and some do not exist any more. Some numbers just lead to general offices.Asking the representative at Canadian Business Centre questions like "Are these funding programs in direct contact with you ?" ... ie Canadian Business Centre. "Have the hosts of the programs been informed of my start up? ....Do they know who I am ? "Each time I am being told yes ...yes ...yes. When I contacted these programs, they were oblivious and had never even heard of this business centre.I could have forgotten about this, if it was a $50 or even a $100 experience. But they suckered me for $699.Selling you the fact that the cost if fully 100% deductible,assuring you that they are connected to many government programs and all you need to provide if your personal and banking information.In the end all the data I provided was redundant. They could have constructed the same results, by me providing a simple email with a few lines, stating my areas of interest.Or sent the PDF and let me pick from the list ...for $20 ...NOT $699!Then continued to chat with me for further interest. But instead I waited a long time for a sub par document,that contains about 20% of usable information. Some details of available programs related to your business topics and that offices contact information.....that all you get.Here hoping I get something back for this.I feel even worse for sending them detailed copies of my business plan. Now I can not take it back.Who knows what they will do with that information that they are collecting.I no further ahead ! Thank you for nothing !I am open to share any information that I have collected to these funding programs.Stay far away ! 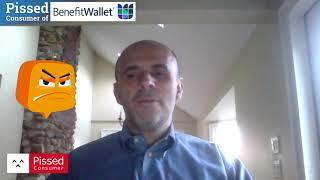 Benefit Wallet (BW) mislabeled a return of an incorrect distribution to my Health Savings Account (HSA), clearly marked as such. They are offering no solution to the problem before the deadline for presenting my income taxes. Also, BW mailed me a Form 5498-SA for 2017 that erroneously states that the total contributions to my FSA during 2017 amounted to $3,226.85, less than the maximum allowable of, in my case, $4,500. Its website offers no useful guidance, and a rude customer service rep confirmed on March 30 the mistaken figure. I therefore made a deposit for the missing $1,273.15. I now have to reverse this erroneous deposit; BW informs me that it will charge me $25 for the privilege. So BW sent me false information, confirmed it on the phone, and charges me extra as a consequence of its incompetence. On December 1, 2012 I purchased a 2007 Honda Fit from the Montrose Auto Group at 9600 Brookpark Rd. in Cleveland Ohio. The car was financed through Prestige Financial 1420 South 500 West Salt Lake City, Utah 84115, Ph: ‪1-888-822-7422‬ When I purchased the car, I agreed to monthly payments of 278.23 for 66 months. For two years I had never missed a payment, nor was I ever late. If my payment was not received by the due date, that means it was received early. So in October of 2014 I ran into car problems (cracked head), and the cost to repair it was 2,800 U.S. Dollars. I called Prestige and explained to them what my problem was and that I did not have that type of cash to get the car fixed, nor could I get a loan to cover the repair cost of the car. I offered to voluntary have the car repossessed and I would make monthly payments to offset the remainder of what I owed vs how much the car sold for. I was told by Jaysen (spelling could be wrong) my account manager at the time, that the cost to repair vs the total value of the car was not worth them taking it back. I stated that I need another car and so I will not be able to afford the same payments each month. Jaysen said that he would give me 3 months to come up with the money to repair my Honda Fit by putting 3 months of payments on the back end of my loan. I explained to him that even with that it would not be possible to get the car fixed. I have other bills that I needed to take care of. Jayson then asked how much money could I afford each month. After going over bills with my wife I told Jaysen I could afford 180 dollars a month. He said that is kind of low but that he would talk to his supervisor and see what could be done. About a day or so later Jaysen called and said that his supervisor agreed to the payment reduction ONLY because of my excellent payment history, but I had to make my January payment before they would agree to the new terms. Before I agreed to the terms I wanted to make sure that the phone call was being recorded and that my payments would remain at 180.00 dollars for the remainder of my loan. Because if not then I just wanted them to come get the car. Jaysen assured me that my payments of 180.00 would stay the same for the remainder of my loan and that the call was being recorded. I was told that with the lower payments, it would extend the length of my loan but he could not give me a time frame until they had worked out all the details on their end. I asked Jaysen if I would still get the .25% discount every quarter because of my perfect payment history and his answer was "YES". It started at 15.9 percent and within the two years I got it down to 13.5 percent. My payment history was so good that when I got my current car my interest was only 9%. So I wanted to make sure that I would still get my interest discounts even though my payments were now lowered. I was told that nothing except my payments would change. I also asked if I still need to carry auto insurance on the car since I am no longer driving the car. Jaysen again said that he would have to get permission from his supervisor. He then called me back and told me that per his supervisor I DO NOT need to carry insurance since I am no longer driving the vehicle. So since I am in Ohio and Prestige is in Utah, he sent me a text message saying that I agree to the new terms and all I had to do was reply back with yes, and that is what I did. I then continued my payments but was only making payments of 180 dollars per our agreement. Several times it 2015 I kept getting phone calls telling me that Prestige does not show that I have current car insurance on my vehicle and that I need to show them proof. 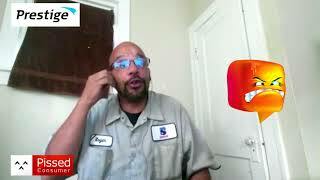 I would call Prestige and inform them that per Jaysen and his supervisor I did not need to have insurance on the car since it was broken down and I was no longer driving it. They would say, ok I do see it in the records, and they leave me alone for a few months and then call me again stating the same thing. Sometimes I would get a phone call that said my account was short by 25 or 50 dollars. I would again call and explain to them that per Jaysen I only had to pay 180 dollars a month. They would look the information up in the computer and apologize for calling. I got tired of those phone calls so I called Jaysen and asked him about the extra 25-50 dollars, and he stated to me that it will take the system a little while to adjust but if I wanted to just pay It then I could. So that is what I did. When I would make a payment the following month it would show 180.00 dollars owed. So for 13 months I was paying the 180 dollars that was agreed upon with myself and Jaysen. Then on February 17, 2016 I get a phone call from Kala at Prestige and she tells me there is a problem with my account. She tells me that I have not been making my payments of 278.23. I again explained to her the agreement that was made between myself and Jaysen. I was then informed that Jaysen has been fired. So I had explained to Kala in detail how it came to me only owning 180 per month. Kala asked if I would explain it to her supervisor. So after explaining it to her supervisor,( I do not remember his name, but he stated that he was the VP ) he stated that Jaysen was not authorized to lower my payments. When I informed him that Jaysen got permission from his supervisor he stated that the only way my payments could be lowered was if I had refinanced the vehicle. I then stated that he needs to go back and listen to the conversation between Jaysen and myself, and he said regardless he was not authorized to lower my payments. He told me that I need to start paying the 278.23 dollars per month again. I stated that I was not going to pay that amount and that he can't force to me pay it after Jaysen and I had already agreed on a payment plan. His response was yes they can. He said they could freeze my bank account, take my new car as well as my wife's car to settle my loan. I then said, if I have been so far behind on my payments, why did it take you guys OVER A YEAR to contact me???? The supervisor stated that since I had been paying so far in advance that I had paid enough to cover me for a year. He also stated that with me only paying 180 a month it will take 12 years to pay off the car loan. The only way I see that as being possible is if my interest keep growing higher and higher since I was only paying the 180 per month, at 279 instead of being adjusted to the 180 dollars. This is something that Jaysen never told me. The supervisor told me that once my account is 120 days past due, it will go into default. But since I was still making ON TIME MONTHLY MONTHLY payments of 180 dollars a month it will take it longer. I was told that it works like this... My payment in March of 2016 will cover the remaining 100 that I owe for February which will put me further behind comeApril. So even though I pay each month what Jaysen and I agreed to, It puts me closer and closer to my 120 days for default. It will just take longer than 120 consecutive days. On April 4th I got an email from Christopher Foresta and in the email this is what he stated. ( I have a copy of the email incase Prestige states differently. But here is what was said to me in an email. Mr. Holmes, Thank you for your quick response. I am not familiar with your prevent account manager, nor the reason he may have left Prestige Financial. What I do know is that you have a binding contract with Prestige in which you are obligated to make payments of $278.23 on or before your due date every month. Prestige does not refinance its own loans, so there is no way that you and Jason could have drawn up a new contract with a new payment of $180.00 per month. Your file is currently 24 days past due for the amount of $196.46. Please make sure this amount is paid by the end of today. Once that is paid, your next payment of $278.23 is due on or before the 12th of March. We will report any delinquent balance at 30 days past due to all three credit bureaus. If your file is escalated to the point of repossession we would sell the car at auction. Usually we are able to recovery about a 3rd of what is owed to Prestige. In your case that would leave a balance of around $2500.00. If you failed to pay Prestige for this deficiency, we may take you too court, and because you Ohio is a state where wage garnishments are legal, we would likely obtain a judgement to garnish your wages and/or assets if applicable. Ok, so here is makes no sense and is only more proof that Prestige is trying to use scare and bully tactics with me. and not applying the payments that I have made up to the point of this email!!!!! In the above email I am told that my account is "Currently" 24 days past due and I am behind on my payments by $196.46. How is that POSSIBLE!?!?!?! This email was sent April 5th 2016. At the time of this email, I had been paying 180.00 a month for the past 15 months!!!! So how can I only be that late and less than a car payment behind after 15 month?!?! Easy, they have been screwing with my payments and my interest. Next I am told that if my file escalates to the point of repossession, they would sell the car at auction and I would owe about $2,500.00. Well back in January of 2015 I offered to have my car voluntarily repo'ed, and Jaysen said no because there was no value in the car. Now had to car been repo'ed like I ask, then I would have already had the 2,500 dollars paid back in APRIL OF 2016!!!!! !, but to date I have paid $5,940 at my current agreed payments of 180.00 a month!!!! When all of this could have been settled 1.5 years ago if they would have just repo'ed the CAR!!!!! So as I stated before all they are trying to do is milk me, and keep me in a contract that no one is benefiting from!!! In April of 2016, shortly after receiving the email, I went online to make my payment like I did EVERY MONTH and ON TIME. I come to find out that I have been locked out of the system. So the very first thing I did was log onto my bank and had my bank send them a check. I followed that up with an email to Prestige explaining how what they did was wrong. I explained that what they were trying to do was get me to be late on a payment so they they could try and force a new contract on me. That following Monday I got a phone call from Prestige and I was told that the reason I was locked out of my account was because I was 2 MONTHS BEHIND ON MY PAYMENTS, and the SYSTEM AUTOMATICALLY locks me out. I told them that what they just said was a BOLD FACE LIE because according to their records I was already 15 months behind on my payments since Jaysen was not "authorized" to lower my payments. Which means the system should have locked me out 13 months earlier!!! So to this day I send them a bank check ON TIME EVERYTIME EACH MONTH of 180.00 dollars. (which they take 5 days to cash so that they can continue to gain DAILY interest as well as daily LATE FEES) Through out the year of 2016 I would receive text messages from Prestige saying that they want to work out a new payment plan. I keep telling them that I am going to stick with the aggrement that was made between Jayson and myself. In September of 2016 I get a text message saying that if I pay 50 dollars then they would split my payment to bring me under the 30 day mark. Well that did not make any sense because by September of 2016 I should have already be 21 MONTHS behind on my payments, which means the car should have been repossessed a long time ago! . But I went ahead and paid the 50 dollars. But what they were trying to do was double talk and try to get me to agree to my old terms of 280 dollars a month, hoping that I would not catch what they were trying to do. They said the only way they would apply that 50 dollars was if I responded back to the text message agreeing that I have been behind on my original payments. I refused to do that. Since Jaysen was a representative of Prestige, then they are just as much at fault as he was especially since a whole year has gone by. So according to prestige's records I am now 2 years and 9 months behind on my payments. That is 2 years and 9 months of daily late fees which total almost 7,000 dollars. If I did not have my payments lowered then this December would be my last payment, so how does lowering my payments by 100 dollars add 12 years to my loan??? Because of the late fees. Prestige Financial knows that people who have high interest loans typically can not afford an attorney so they continue to play the bully or scare tactics to try and force you to see things their way. I could understand 100% if I were missing payments or if I were late on my payments, but none of the above is true. I have kept my end of the deal from the very beginning. Never missed a payment and have never been late on a payment. But I have no clue to what to do. I can't file in small claims because the company is in Utah, I don't make enough to afford an attorney, and I make too much to get legal aid.. What they are doing has to be illegal, They have done bad business with me over this past 2 year and are now trying to use scare tactics with legal action and garnishment actions to force me to pay the 279 dollars a month again. Compile that with the hidden interest it will take forever to pay off the loan. My payments are due on the 12 of each month and no matter how early I make my payments they always wait to the due date to cash my check so that it keeps adding up the daily and daily late interest. My checks are sent directly from my bank, so everything is documented including the day they decide to cash my check. I have asked them several times to listen to the tapes between myself and Jaysen, and all they keep saying is that regardless of what he did for me, he was not permitted to do it. So I am basically screwed. People that I have spoken to ask if I have it on paper and I tell them that everything was done via text messages because they are so far away. I never assumed I had to keep the text messages but I guess shame on me. So as of now I am 32 months behind even though I have never been late or missed a payment. The last contact my wife and I received from Prestige was a certified letter about 2-3 months ago stating that they can now go after us legally. What I want out of all this is simple. 1) Seeing that I have paid "DOUBLE" what I would of had to pay if they would have taken the car like I asked back in Jan of 2015. I want the title to the car with a certified letter that the car has been paid for in full, and that I do not owe them any more money at all. 2) I want them to report to all credit agencies that I have never been late on my payments, and I also want them to report that I have always paid the agreed upon amount. Equifax Trans Union Experian and any other agency that has access to my credit rating as they have DESTROYED it with LIES!!!!! 3) What ever the cost is to fix my credit due to their LIES!!!! I want them to pay. 4) I want a sincere letter of apology from Prestige Financial admitting to their fault and their illegal tactics with the way I have been treated by them the past 33 months since having my payments lowered to 180.00 a month. (Which I know I will never get). You will be required to do a bit of research and analysis to find the right financial services. Fortunately, you are not locked into any single banking provider once you make a selection. If your needs change or you find yourself unsatisfied, simply move to new financial services company that better suits your goals. It stands to reason that the company you select to help you manage your money should be one that offers the service you need. Taking out a mortgage or a home equity loan is a far different service than starting up a new Roth IRA. Consider your specific needs from a financial provider and then start your search there to find specialists in the areas you consider important to you. While it is important to work with specialists in your desired financial areas, you can quickly become over extended if you wind up using too many banks – one for each banking need. If you are comfortable and satisfied with one bank, rather than starting up new accounts in a brand new bank for a different purpose, consider using consolidated services for convenience. One concern about using a single bank for all of your financial needs, however, is the risk of missing out on better offers from other services. It is always wise to do some shopping and comparing, but if your bank and the competition are all offering the same mortgage rates, it might be worth it to go with what you know. If you live in New York City, you have an endless supply of banks and financial houses ready to do your bidding. If you live in a small town with less than 1,000 residents, your options are a bit more limited. You may decide that some banking, like a standard checking account or mortgage, is worth doing locally where you will have easier access to your funds. If your uncle is always borrowing cash and fending off collections calls, he is not the sort of person to listen to for investment advice. If your uncle has built up a nice nest egg and has made the same sorts of decisions you plan to make with your money, he might be a great source of information about which financial services firms to consider for your own goals. Recommendations from others who have done research and invested wisely are valuable resources. Consider these recommendations as you do your own research to be sure what is recommended to you checks all of the boxes you need for your own funds. Financial service companies are in the business of business. They need to make money, and they do so in many ways. One of the ways is through the fees and transaction costs they charge to customers like you. There is no standard cost for doing business with a financial services company. Many banks are upfront about costs and fees in order to build confidence and trust with customers. The more you have to dig to find out the fees and rates for the bank, the more concerned you might become about just how much you’ll wind up paying to work with your own money. Always read and understand the fine print for financial services – otherwise you may wind up paying more in fees than you stand to make in return. Over the last decade, banks have made the news many times for their business practices. Banks have been sued, bailed out, called to task and investigated for all sorts of practices. Ultimately it is a personal decision about the financial services you feel you can trust with your funds. For many, building trust and confidence with a bank includes feeling comfortable with a financial service’s actions in the past. Not all online banks are created equally. If you prefer to have access to your financial information around the clock with instant updates, you will need to be sure your choice for a financial services provider offers that service. The same is true for having online capabilities to make transfers, pay bills, change investments and handle your preferred transactions yourself without having to use a bank teller, phone representative or send in forms through the mail. Finally, should you have a question or a concern about your mortgage, retirement savings, banking or investments, you will want to speak with someone quickly, if not immediately. Different financial services companies provide different levels of personal service for customers. While almost all companies providing financial services will tout their customer service, not all of them follow through on their claims. Reviews by real customers of the various banks can provide more information about just how accessible the companies are when concerns arise. The financial services industry can be a challenge to navigate. Fortunately careful research and thoughtful planning on your part will make it easier to find the services you need and be sure they are being provided by the financial services firm most closely matched to your own goals and considerations. There seems to be no limit to the number of acronyms, abbreviations and titles in the world of financial services. Two of the most confusing terms sound as if they are the same, but they are, in fact, very different. The term “financial ad-visor” is a broadly used term across the industry for anyone who is offering you financial advice. This can range from your friendly neighborhood bank teller to the stockbroker making a huge commission every time you change your mind about your investment. A “financial planner” on the other hand, is a very specific term for a financial professional who is tested and certified by a governing board. A Certified Financial Planner has passed a challenging standardized test over a range of personal financial concerns and must continue to be trained and use continuing education to stay updated in the field. There is no governing body for financial advisors. There are no limits on the term at all, meaning truly anyone can claim to be a financial advisor. Many professionals in the financial services sector offer some form of financial advice related to their various products. Therefore they use the term “financial advisor” as it relates to their service. Often these financial advisors will offer their advice for no charge. This is possible because their advice often heavily relies on selling you a product that will have additional commission for them. That is, they don’t need to change for the advice, since they are advising you to buy their products. A certified financial planner is bound by the requirements of the certification process. In most cases, especially for fiduciary planners, this means always working in the client’s best interests. A financial planner who charges an hourly or flat fee rather than commission is even more removed from the potential of bias toward certain products. The job of a financial planner is to help a client clarify their financial goals and offer advice on ways to meet those goals. While the financial planner might offer suggestions on certain products or investments, the most important item to come from the meeting is a comprehensive written financial plan that the client can use to guide future decisions, even if the client chooses not to work with that financial planner in the future. A financial planner’s job is to help you save and invest your money to meet your own goals. This is not the same job as the insurance agent trying to sell you insurance products, or the stockbroker charging you fees to buy and sell stocks on your behalf. A financial planner works with you on specific goals like buying a home, paying down debt or saving for retirement. Anyone can call themselves a financial planner, and anyone can offer financial advice. You certainly don’t want to take the advice of just anyone, however. If you choose to work with a financial planner, you absolutely need one who you can trust. Many financial planners have a long list of acronyms following their names on business cards. These can mean just about anything, but the one to look for is the CFP, or Certified Financial Planner. This credential means the planner has passed and mastered the standards required by the Certified Financial Planner Board of Standards. They are qualified by a governing agent to offer advice on personal finance. Many financial planners make their money based on commissions. When you, the customer, put your money in a certain investment option, they, the planner, make some money from that transaction. This can create a scenario where planners may become biased toward certain investments for their own income potential rather than offering you a wider range of options. Consider whether a financial planner is using a commission, hourly or flat fee structure as you make your choice on who to work with. Your money and personal finances are private business. One way to find someone you can trust is to ask friends and colleagues for recommendation of who they trust. Try to find others in similar situations as your own. A friend with a blended family might offer you recommendation for a planner who understands the needs of blended families after a remarriage, for example. Personal recommendations are valuable, but always be sure to get a range of options from those you trust and follow those recommendations with additional research of your own. If you are starting from scratch, the National Association of Personal Financial Ad-visors, or NAPFA, is a great place to start. The standards to be part of the NAPFA organization are even more rigorous than the criteria to become a Certified Financial Planner. You can count on fee-based services, rather than commission and professionals who have pledged to act only in the customer’s best interests. A fiduciary planner has pledged to act in the customer’s best interests at all times. A sustainability standard is less than a fiduciary standard, and a planner at the lower standard has only pledged to sell you something suitable – not necessarily the best thing for you. You can and should ask your financial planner some tough questions as part of your own background check. The first things to check are if the planner has ever been convicted of a crime or investigated by a regulatory body. You should check references as well for the planner, the same way you would for a nanny, electrician or plumber. Your background check should extend online to be sure the credentials your would-be planner claims to have are current and legitimate. There are discipline records available for Certified Financial Planners and it is easy to call to administrating boards for other certifications to be sure your planner is up to snuff. Warren Buffet is famous in the investing world for outperforming market averages. He’s famous because this is so unusual. If a financial planner tells you he will help you beat the market averages, walk away. Likewise, if someone tells you a big money-maker is risk-free, run away. Understanding financial markets is complicated, and you are looking for good advice across a range of instruments – not a promise of shady deals and unrealistic expectations. As you search for a financial planner, be savvy in your choices and take your time deciding to be sure you’re making the right choices for you and your loved ones. The right financial planner will help you understand your own goals and options and offer you advice on a range of pathways to take you there.